Kroger Friday Downloads, as internet marketing tools for Kroger and Kroger chain region stores, are available Fridays for shoppers who have computer access and who hold Kroger Plus shopping card-activated digital accounts. The account and the active, valid Kroger Plus card bring each week a product whose eCoupon can be downloaded onto the card at the Kroger website. Kroger Plus cardholders can download the eCoupon for the week’s product between 12:00 midnight and 11:59 p.m., Pacific Time, on the Friday the item becomes available. They do not have to redeem it that very Friday since the eCoupon is valid during the 16-day period through the third Sunday after the download. Kroger Plus cardholders already experienced with Friday downloads generally expect each week’s product to be drinkable or edible by people or edible by cats and dogs. Kroger Plus cardholders with online accounts on the Kroger website find 7-ounce (198.45-gram) banana honey nut and golden raisin cinnamon varieties of Quaker® Breakfast Flats today. Kroger’s website gives downloaders from midnight Friday, May 27, to one minute before midnight Saturday, May 28, 2016, to download the eCoupon into their card-activated accounts. Kroger Plus cardholders who prefer to claim downloads after the Memorial Day weekend have until Sunday, June 12, 2016, to redeem the Quaker® Breakfast Flats eCoupon. The deadline for redeeming any 2-liter (67.63-ounce) variety of Mist Twst Lemon Lime Soda, Friday Download from Friday, May 20, is through Sunday, June 5, 2016. A 1.58-ounce (44.79-gram) variety of Curate™ gluten-free, non-GMO dark chocolate salted decadence bar joins as Friday’s download from May 13, redeemable through Sunday, May 29, 2016. Internet marketing tools such as Kroger Friday Downloads keep Kroger Plus cardholders apprised of discounts, markdowns and sales, and Kroger’s website attractive to numerous daily visitors. They let customers experience the price- and tax-free enjoyment of redeeming eCoupons for such products as one six-pack of lemon-flavored Nestea® per Kroger Plus cardholding shopper. They also make it possible for Kroger Plus cardholders to thank the winsome, wise domesticated animals in their lives by bringing home special treats from IAMS™. Kroger Plus cardholders need not worry about the nutritional values of each week’s complimentary product since chocolate and hard and soft candies are possibilities, not givens. The Kroger Friday Downloads program offers such complete meals as chicken or steak frozen dinners and such side orders as boxed rice or macaroni and cheese. The success of the Kroger Friday Downloads program as customer appreciation and internet marketing tools prompts an occasional wider application of the offer to other weekdays. The week of offering Kroger Plus cardholders seven different daily downloadable products from Wednesday, Jan. 13, to Tuesday, Jan. 19, 2016, qualifies as a recent example. Its Annie’s macaroni & cheese, Butterfinger® candy, Nestlé® Pure Life® Splash, Simple Truth™ popcorn, Stouffer's® frozen entrée, Trident gum bottle and Yoplait® Greek yogurt remain memorable. The Kroger website shows not only the current download but also the other digital coupons that lower non-Friday Downloads product prices or make them equally free. Its internet marketing takes many forms even though win-win scenarios, epitomized by Kroger Friday Downloads, link them all: company visibility and volume, customer satisfaction and savings. 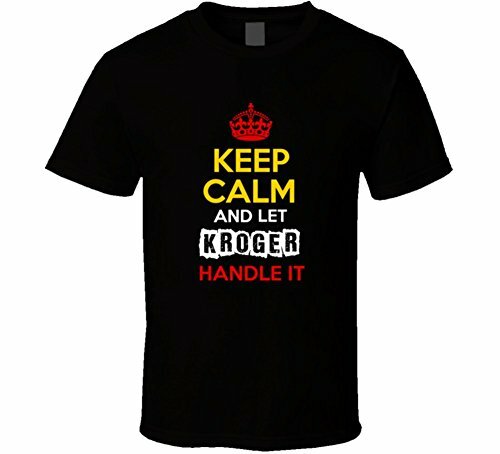 “Digital Coupons Policy.” Kroger > Customer Service. “Mobile App.” Kroger > Online Services. katiem2, Some of the e-coupons lower the product price quite nicely! They no longer show up once they reach their expiration date. So it takes the stress out of having a handful of paper coupons with different expiration dates to have to remember. Thank you for this easy to follow and yet detailed heads up on Kroger savings downloads, I recently got the app and was amazed at how easy it is to actually take advantage of savings and coupons. I have never been one good with coupons, I either forget them at home or forget to bring them out when at checkout.... Oh my this is wonderful. blackspanielgallery, It comes off as customer-caring since the downloads can be retrieved from cooperating stores and since the products tend to be desirable, like quality cat and dog foods and people drinks and food. This is a clever way to spend advertising dollars. katiem2, You should see the number of people that show up early Friday for the downloads at all the Kroger stores within a 45-minute drive from me and the number of times that Kroger has to restock those downloads throughout the day! sandyspider, It's difficult to beat Kroger's when the area stores here have coupons, discounts, mark-downs and mega-sales. Love finding coupons and other ways to save money. Nice to learn about Kroger. candy47, I use mine at Kroger's since it's just down the road. It's fun when businesses cooperate in win-win ways like this! I always download the Free Friday digital coupon to use at Smith's.